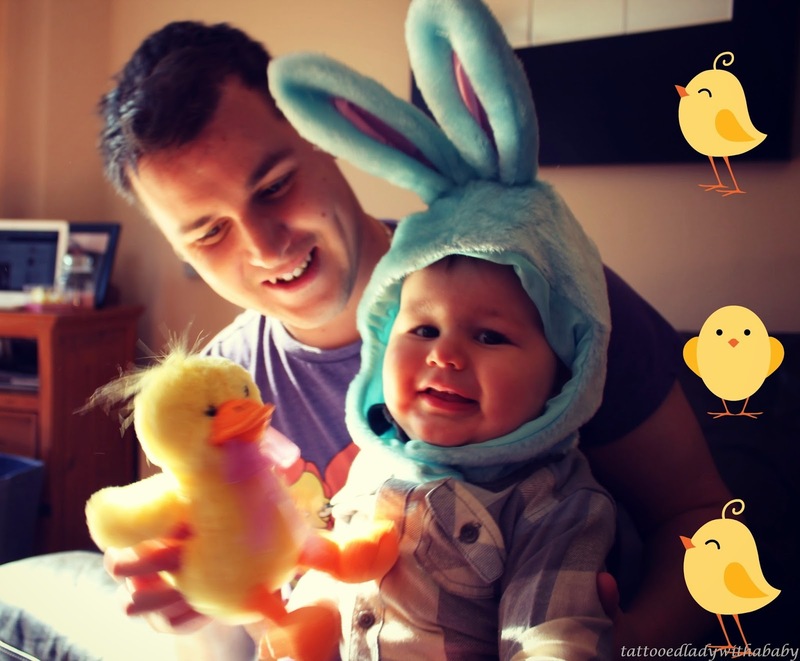 It was our first Easter as our very own little family this year and safe to say I think Luke enjoyed himself! We have a mountain of chocolate that is going to take an age to get through. 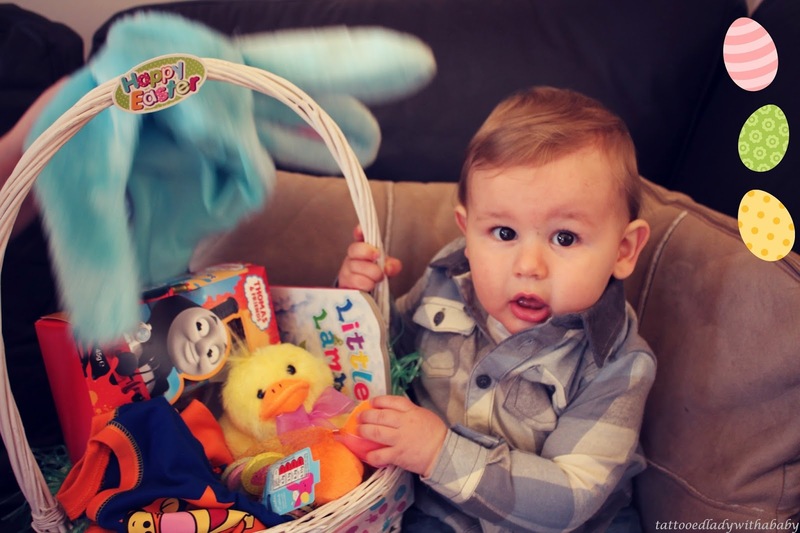 We spent the morning in our own house where Luke received his very first Easter basket, the first of a annual tradition for him. 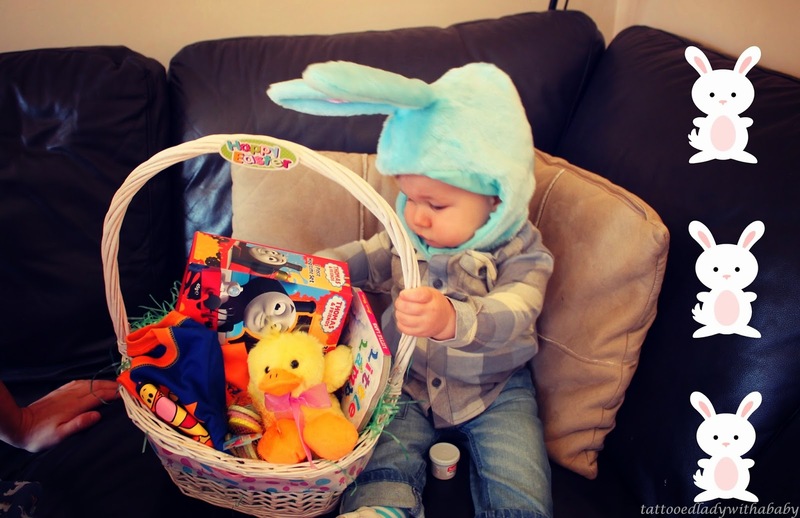 He was quite impressed and surprisingly didn't mind the bunny hat I insisted he put on! 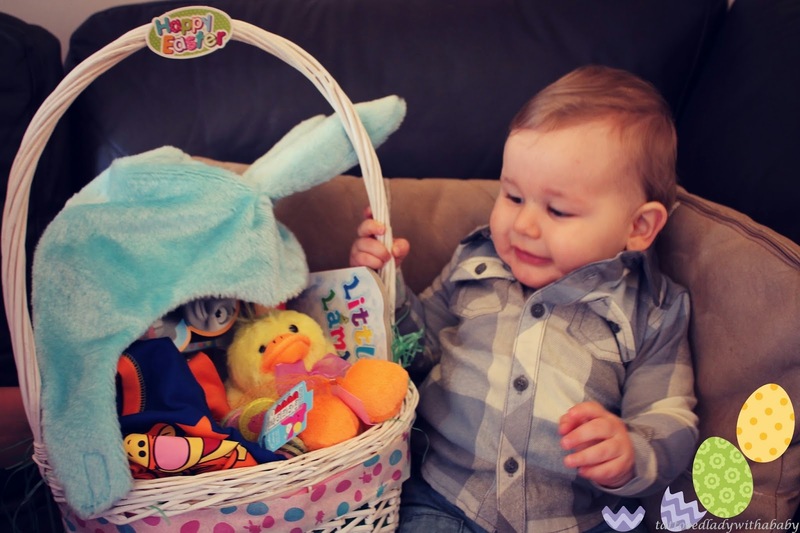 In his basket there was also a new pair of Tigger pj's, a Thomas the Tank Engine Easter egg and dinner set, a little lamb book, chocolate coins and a chick teddy. I used a basket from last Easter that my mum received with flowers in it and decorated it using some bits and pieces I'd picked up in Dealz. We then visited the OH's parents before heading to my parent's for dinner, the traditional roast lamb. Throughout the day Luke munched on chocolate and sweet treats, more than he's had in his lifetime so far I'd say!! 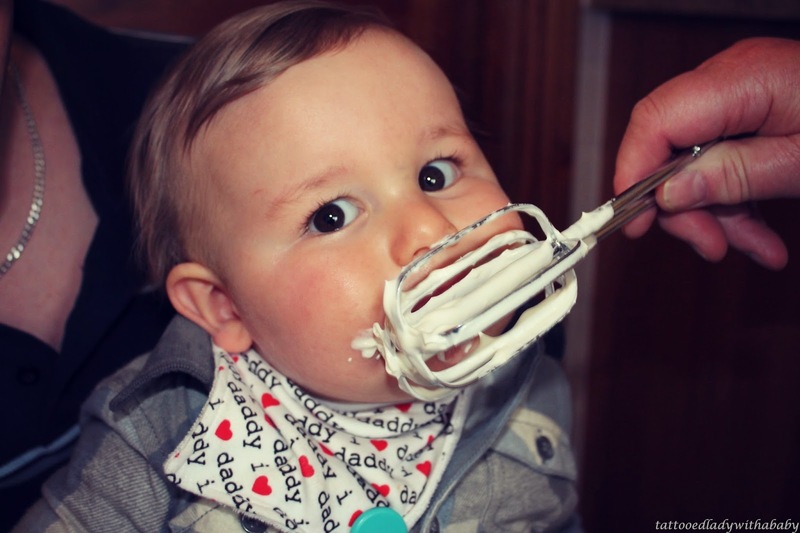 Nanny even let him lick the cream for the trifle off the whisk, we used to do it as kids as well. After a busy afternoon in nanny's we did a quick delivery of Easter eggs to some friends before heading home to relax. Im not too sure how well Luke will sleep tonight after all that sugar but hopefully the excitement will have worn him out. 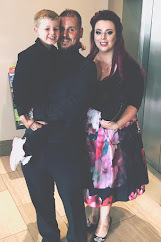 These holidays are just so much more fun when there's a little person around to enjoy them too. 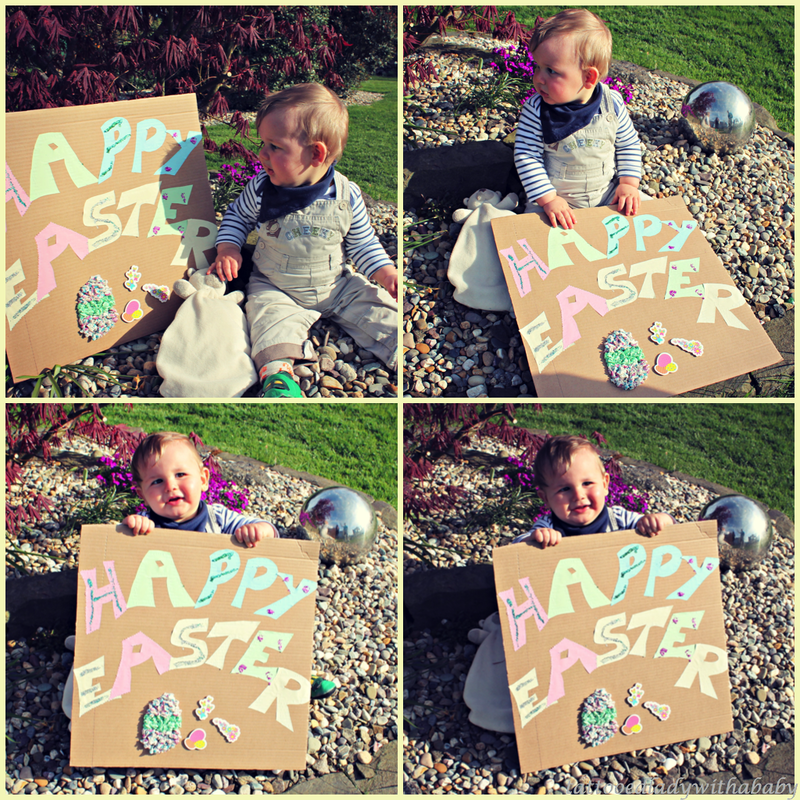 Happy Easter little man and mummy!!! he's adorable!